Some find them cute and furry, others believe that squirrels are truly annoying. Regardless of the group that you belong to, having a squirrel munch box in your yard is a great idea. Yes, even if you don’t like squirrels! There are several reasons why giving them snacks will bring a range of practical advantages to the table. And who knows, you may eventually end up enjoying the company of the little fur balls. Squirrels are notorious for raiding bird feeders and munching on the seeds inside. 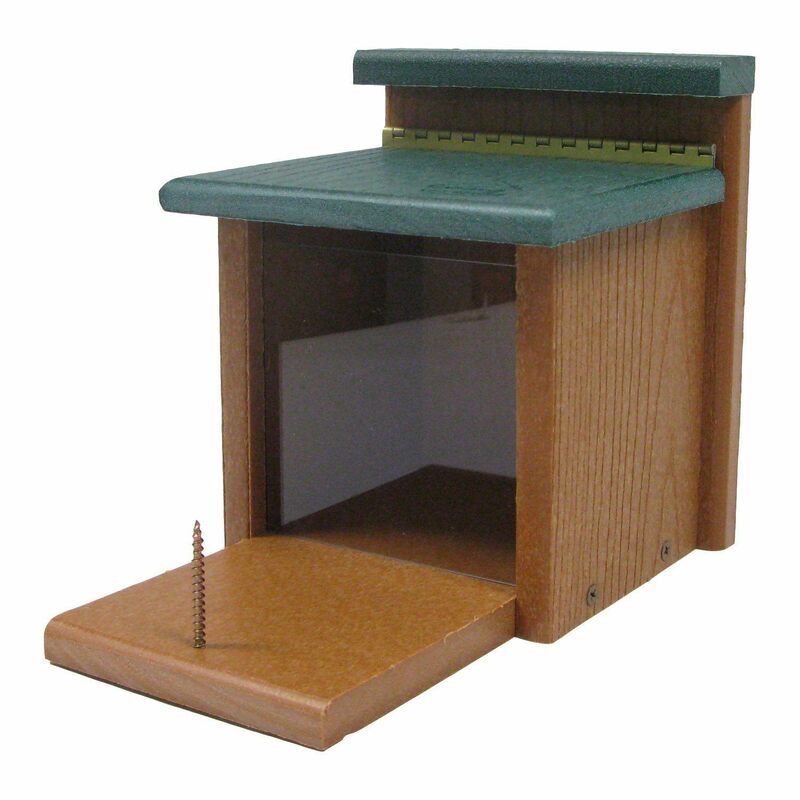 If you like to feed the birds and enjoy their company, consider the addition of a squirrel munch box to the backyard. A squirrel munch box is all about giving squirrels food, as well as entertainment. Many of the designs are clever, making squirrels come up with ways to access the delicious nuts inside. By giving squirrels something fun and rewarding to do, you’ll be keeping the bird feeders untouched. The purchase of a squirrel feeder will be much more effective than more aggressive strategies. It will be difficult to get rid of the curious creatures, even if you actively chase them away. 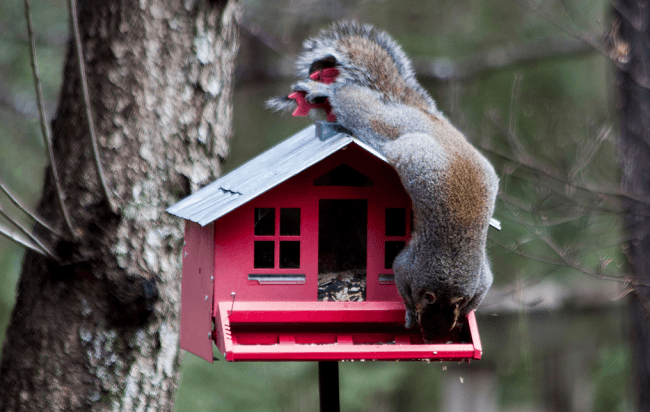 Keeping the squirrel munch box full of food isn’t going to cost you a lot. Once they figure out where their feeder is, the squirrels will also leave the rest of your yard alone. When they get either hungry or thirsty, squirrels will look for water and a source of nutrition. This is one of the main reasons why they’ll often visit your garden, ruining the fruits and veggies that you’re trying to grow. The easiest way to deal with squirrels acting as pests is to give them food and water. If nuts and seeds are readily available, the squirrels will leave your veggies and other crops alone. We all live in a hectic world that’s full of concrete and technology. Through our urban existence and employment, many of us have lost touch with nature. Attracting wildlife to the backyard is one of the simplest possibilities for restoring the broken link. Having squirrels in the backyard will teach you a valuable lesson. You’ll learn a bit more about the life and the intelligence of these creatures. Squirrels are also a lot of fun to photograph and you’ll end up with some pretty dynamic shots. What does it take to bring squirrels to your home? The answer is simple – get a munch box and keep it full of delicious things. A squirrel munch box is a must for families that have young kids. Children will quickly fall in love with the squirrels and learn a lot by observing their behavior. Squirrels aren’t dangerous or aggressive, which is why you shouldn’t worry about attracting those creatures to your home. If you plan to start feeding squirrels, you’ll need to keep a couple of important tips in mind. For a start, stick to the right snacks. The market features large packs of pre-made mixes. These usually consist of nuts and grains. Alternatively, you can choose the type of snack that you want to give squirrels. Some of their favorites include corn, walnuts, hazelnuts, sunflower seeds and just about every other kind of seed or nut that you can think of. Squirrels will enjoy some fruits and berries, as well, especially if they’re thirsty. Make sure that the munch box also features a cup for water. Squirrels are usually likely to raid your garden when they’re thirsty rather than hungry. If you bring squirrels to the backyard, remember that they’re likely to dig holes in the ground. Squirrels are notorious hoarders. They like to store some of the seeds for later on. There’s nothing wrong with this activity. In fact, it may aerate the soil. Finally, you don’t have to worry about rabies. It’s a common misconception that squirrels spread rabies through their bite. The only problem you may have with those fury creatures is that they may potentially bring fleas to the backyard. If you have other pets like cats and dogs, you should take the necessary precautions to protect them.